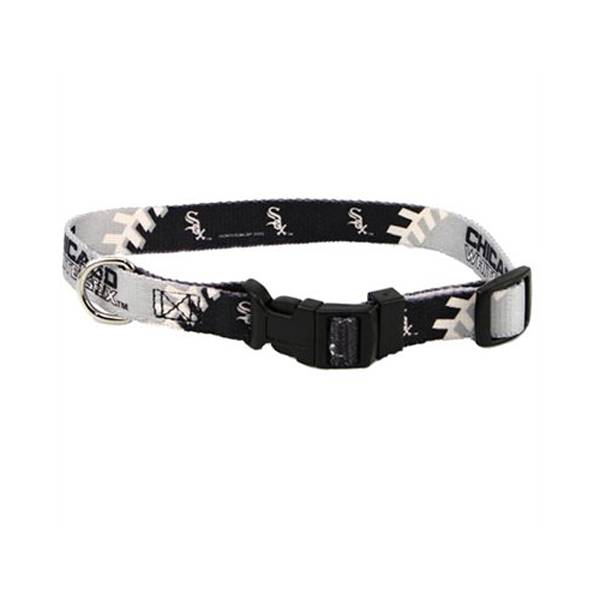 Show support of your favorite team with this adjustable nylon officially licensed Major League Baseball dog collar! Full color printed logos and baseball design. Posted On 07/19/17 by Emilia S from , Yes, Emilia S recommends this product! Posted On 04/12/15 by Jennifer G from , IL Yes, Jennifer G recommends this product! Very cute collar. 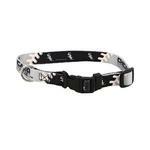 I ordered it for my Yorkie along with the white sox ID tag. Easy to wash and durable. I have been buying from Baxter Boo since we got a dog 1 1/2 year ago and I really like the site. So much to offer and choose from. Although disappointed some of the items were not available until 2016, I know that Baxter Boo will email me when they arrive. This has happened before. I like the free shipping today.